In 2009 the (then) Commission for Pastoral Renewal and Adult Faith Development of the Irish Episcopal Conference established a task group for the stated purpose of facilitating a national conversation on the development of ‘Larger Pastoral Areas within dioceses, through the clustering of parishes’. It is evident that this development will continue to be a work in progress for the foreseeable future. It is also clear that there can be no blueprint for the method by which dioceses will proceed with their ongoing pastoral restructuring. Keeping these observations in mind it was understood that, in due course, the task group would make available an account of the wisdom emerging from work in progress in the dioceses, as well as their own reflections on issues and strategies relating to this work. The task group has also arranged for some preliminary research into corresponding developments in the global context. While parishes and other units are clearly ‘pastoral areas’ in their own right, the task group has adopted the terminology of Pastoral Areas (PAs) to designate, at least for now, the larger units which are emerging from processes of grouping parishes at the present time. Members of the group prepared draft papers on each of these topics. Three papers were circulated together with reflection questions to diocesan personnel in time for discussion at the regional meetings in the Spring of 2010. Likewise, the remaining three papers were circulated in time for the annual convention in May. The composite document which is now presented represents further work by the task group in response to these dialogues with representatives of 23 dioceses. The papers have been deliberately limited, on average, to 3 pages. In this way, an attempt has been made to get to the heart of the matter, to identify key issues and to suggest helpful processes and directions for development. In this way, too, each section remains open to being nuanced and developed by a wider section of the Church. Now is the time when all who lead, facilitate or are affected by structural changes which affect diocesan and parish/local Church communities can enter into reflection and discussion of this material. The papers, and their ultimate publication in a form yet to be decided, are intended primarily for those people who mandate, direct, facilitate, coordinate or support in any other way, the work involved in developing pastoral areas. In their hands, the content of these reflections should also be useful for groups and communities as they come to terms not only with the reorganisation of ministry within their parishes but also with revisioning of mission. As presented here, it is acknowledged that there is wide variation in style as well as obvious overlap in content between the sections of the composite document. It seems wise to leave the harmonisation of the papers for a later stage, so that feedback on each section can be reflected on and incorporated in a final editing. A template is offered for written reviews of the document. These will be welcomed by the task group up to mid-January 2011. The work of the task group will be complete when this document has been revised in light of the widespread consultation which is now under way (October 2010– mid- January 2011). Insofar as there will be a ‘finished product’ it will still offer (only) resources for reflection on the challenges and opportunities which will continue to be presented by the changing contexts and demographics of pastoral ministry in Ireland. The socio-pastoral context in which the work of developing Pastoral Areas is taking place in Ireland is marked by radical, rapid and ongoing change. In this context, a prevailing climate of uncertainty is particularly challenging. Since the early 1990s, the socio-economic situation in Ireland has moved through a period of unprecedented growth and expansion into a recession which has roots in both global and local contexts. The impact of financial losses and unemployment are everywhere apparent. Critical review of the ‘celtic tiger years’ is underway at every level of society. Interrogation of commercial and political practice, not least by the media, is correspondingly acute. Dramatic cultural and religious transformations have taken place in Irish society during this period. The population as a whole is undoubtedly becoming more liberal and cosmopolitan in its views. There has been a rumbling marginalisation of the Church, interpreted variously as the result of rising secularism, materialism and individualism in the social context and the perceived irrelevance (or worse) of the Church’s own structures and culture. With the publication, both in 2009, of the Ryan and Murphy reports, the credibility of the Church and its leadership and the legitimacy of Church bodies as institutions in society have been seriously undermined. People have been greatly hurt and disillusioned. The numbers of ordained clergy and professed religious have been falling dramatically. While surveys indicate decline in regular participation in the Church’s sacramental life, events such as pilgrimages and special novenas continue to attract large numbers. While tendencies to retrenchment can be seen in some approaches to Church practice (including pragmatic approaches to the process of clustering), New Ecclesial Movements and associations of lay faithful, together with people committed to proactive evangelisation, are reporting sustained interest on the part of people seeking fresh expressions of faith, values and belief while preserving the core of the Christian tradition. If the Catholic Church in Ireland, nationally and locally, is to become again a community which witnesses to the gospel, not only through the lives of its faithful but also in its participation in public life and service, then radical, multi-faceted and far-reaching renewal of life and structural change are called for. Church practice needs to be critically reviewed and foundational questions need to be kept open. The co-responsibility of ordained, religious and lay faithful for God’s mission needs to be recognised. Ways and means of ordering the gifts of communities of faith are crucially important to the evolution of a new era. Resources need to be harnessed and channelled to missionary purposes. The need for collaboration between parishes has been under discussion in many dioceses for up to ten years. It is not possible to categorise their current practice in a rigorous manner, not least because the situation continues to change. Nevertheless, when a survey was taken in January 2010, the dioceses seemed to fall into three broad bands. Obviously, within these bands there is also variation in stages of ongoing development, processes being used, and models emerging. 1. In about half of the dioceses all parishes already belonged in a wider grouping, or Pastoral Area, though in some cases the boundaries of the PAs were still under review. In these dioceses, the development of structures for leadership/coordination within the Pastoral Area was a work in progress. A vision has been emerging of a Church enriched through the combined gifts and resources of the parishes involved. In most of these dioceses a person or persons have been appointed by the Bishop to take specific roles in directing/facilitating the process, in cooperation and dialogue with all concerned. 2. In some dioceses, Pastoral Areas had been emerging for some time in response to circumstances, with on-going reflection and discussion among those involved. 3. In a small number of dioceses the development of Pastoral Areas was not currently being addressed in public fora, even though in at least some of these, parishes were already sharing a Parish Priest. o What good purposes do you see being served by the development of PAs? o There appears to be a correlation between the investment of personnel in the process of developing PAs and the emergence of vision and purpose for the Church in its new situation. Why do you think this is so? o How can a vision of Church which includes collaboration between parishes in a PA be fostered and become a source of energy and direction? o Throughout this survey, the need for education and formation was emphasised continually by respondents. Why do you think this is so? o In your experience, what is the impact of emerging PAs, which may include changes to the number and times of Masses, on their appreciation of community celebration of the Eucharist? o Have you seen, in your experience of emerging/developing PAs, any signs of their potential to promote good organisation and also collaboration between clergy and lay people in the parishes? o In particular, can you envisage the importance of the new situation – parishes grouped in to PAs – for the self-understanding of lay pastoral workers? o In what ways will the development of PAs highlight the need for diocesan structures? o In what way does the development of PAs point to the need for clear terms of reference, indicating the scope, tasks and interrelatedness of individuals and groups at parish, PA and diocesan levels? o The time-lapse between awareness of the need and the beginnings of reorganisation is surely indicative of significant resistance to change within pastoral systems as they have evolved over time. How can we understand and work well with various forms of resistance to change? A Pastoral Area is a group of parishes committed to the long term relationship of collaboration to plan and provide for the spiritual, sacramental and pastoral needs of their respective communities. It involves the sharing of personnel, resources, programmes and facilities so that the needs of the constituent parishes or communities can be addressed without straining the resources of individual parishes. It contributes to the strengthening rather than diminishing the life and ministry of each individual parish or community so that these can be sufficiently confident in themselves to be genuine agents of evangelisation. Current pastoral realities are challenging parish communities to discover the real practical, spiritual and theological value of working in collaboration. A number of foundational theological issues ground any ecclesial collaborative activity. These include the image of God as triune; the Church as a communion; the co-responsibility of all the baptised for the well-being of the Christian community; ordained priesthood as a service of God and of God’s people; a spirituality of communion that grounds all personal, ministerial and community relationships. The image of the Triune God, as a dynamic of mutual and reciprocal relationships, a communion of love, is a reminder of the life of communion, to which all are called, mirroring in the process the very life that is at the heart of the Trinity. It challenges all systems of dominance, individualism and isolationism. So, if the older image of God was reflected in a rather monarchical approach to Church structures, a consideration of the Trinity demands a much more relational and participative approach to ecclesial relationships, to ministry and to governance. The Church, even in its most local manifestation, is called to mirror the life and love of the Triune God. The rich relational dynamics demanded by parishes working in close cooperation is well placed to effect this witness. Just as the image of God has been revised in recent decades, so too has the image of the Church. Since Vatican II the Church is presented more as a communion of communities than as a universal, monolithic, static institution. It is the outcome of the activity of the Triune God: the creation of the Father, the embodiment of the Son’s own mission, animated and empowered by the life-giving Spirit. The images used to describe the inner life of the Church also reinforce this understanding. They are taken from the life of the shepherd or the cultivation of the land, from the art of building or from family life and marriage, suggesting growth, development, imagination, creativity and a network of close interpersonal relationships. Vatican II speaks of a communion of life which is grounded in the heart of the Trinity and which finds genuine expression in the concrete life of the Christian community. The Church is to be the sign and instrument through which the Spirit effects the union of all people with God and of all people with one another. This rich image finds a very concrete expression in Pastoral Areas as parishes and their ministers collaborate in their ecclesial tasks. The ecclesiology of communion guides the spirituality of all those who are engaged in the ministry, not just those in the ordained ministry. All ministers are called to act in a collaborative fashion because by its very nature the Church is a community graced with a variety of complementary gifts so that all may grow in unity and charity (1Cor 12). To be a member of the Church is to be part of an interdependent community of people, where the bonds are both spiritual and concrete. St. John speaks eloquently of the how one’s love of God has to be expressed in the quality of interpersonal human relationships in the community (1Jn 4:20-21). At a very basic level it means taking our own humanity seriously, being willing to accept frailty and weakness as well as having the humility to receive the gifts or support that others have to offer. A Pastoral Area demands such a spirituality and style of ministry. It also demands a renewed educative effort. If previous generations laboured with an image of God as one who was aloof and isolated, this was mirrored in the popular perception of the ordained priest. Vatican II helped to retrieve an understanding of the priesthood of all the baptised and situated the ordained ministry within this context. The ordained priest enables the priestly people of God to respond to their baptismal call to offer the sacrifice of praise and thanksgiving to God in a life of worship, which finds its ‘summit and source’ in the Eucharistic celebration. Vatican II also stressed the collegial nature of the diocesan priesthood. This understanding of the ordained ministry shifts the emphasis to the service that it provides to the community both as gift and challenge. This service enables the members of the community to exercise more fully their own responsibilities rather than the priest appropriating these to himself. In the Pastoral Area the focus has to be on the empowerment of the local Christian rather than on the needs of the ordained minister, who must in turn be prepared to work in a more collaborative fashion. 2. Parish Priest with care of several neighbouring parishes (c. 526 §1 ). 3. Governance by a group of priests jointly (in solidum or Team Ministry) with the stipulation that one of the priests is to be moderator of the pastoral care to be exercised; he is to direct the joint action and be responsible for it to the bishop (cc. 517 §1, 542, 543). 6. or group of persons (may include religious) under the direction of a priest with the powers and faculties of a Parish Priest who will direct the pastoral care (c. 517 §2). 7. Canon 518 provides for personal parishes based on rite, nationality, language etc., e.g. for Travelling Community (as in Dublin). Pastoral practice is developing another model based on the role of the Vicar Forane and Pastoral Council for the pastoral care of a pastoral area. This is a variation of model 6. Choice of model depends on the particular circumstances and resources available. In North America, shortage of priests was initially dealt with by the Team Ministry or in solidum model described in cc. 517 §1, 543. This model has the benefit of lack of definition in Canon Law, thus providing the possibility of experiment. When this model could not work because of lack of priests, a Multiple Pastoring approach was developed. Concomitant with this development lay persons were being educated and a multiplicity of lay ecclesial ministries continues to develop. Pastoral practice in Ireland provides experience of models 1, 2, 3, 7. Model 2 operates in Ireland, UK, North America, parts of Europe and Australia; models 3 (decreasing), 4, 5 and 6 operate in North America. • Work is done on the relationships between the PP and pastoral personnel. Pope Benedict has begun speaking of the “co-responsibility” of the entire parish, noting that “the PP is no longer the only one to animate everything” thus promoting the ministry of the lay faithful. There are no perfect models; they evolve over time and in accordance with particular circumstances. However, on-going formation is crucial, using a mentor, and/or support group in the case of a parish priest, with common training and continuing education for parish personnel. The first step is often co-operation between individual parishes. Another variant is where a single PP governs a number of parishes with the aid of local leadership (deacon, religious, lay, trained, paid, full-time called “parish life co-ordinators” in USA [c. 517 §2]). In other instances, one PP governs with a co-ordinating committee (least popular with PP’s). Some groups are managed by a PP and centralized team and council which comprise staffs of individual parishes. The Code also permits merging parishes and the creation of one new parish from the group (cc. 121-123). A final option would be to build one new parish and close the existing ones (most radical). Formation and education of pastoral personnel is crucial to the success of this approach. The Team Ministry approach has no precedent in 1917 Code. Following Vatican II, several North American dioceses experimented with the model despite the absence of titles, specific directions about governance according to a common plan, the scope of the moderator’s role, how priests are to come to a common agreement, etc. . This model was used until lack of priests made it impossible. In 2010, there are 14 such groupings in Dublin Archdiocese, on a spectrum from “Not-working” to “just beginning,” to “making steady progress.” It is important to note that in using this model, no change is envisaged in the juridic status of the individual parish. • Statutes are drawn up. Some kind of on-going facilitation enables this type of model to work. The basis for this canon and its possibilities lies in the conviction that participation in the life and mission of the Church is a right and duty of all believers, received in Baptism, strengthened in Confirmation and nourished by Eucharist. Full care of souls is entrusted to priests (c. 150) but lay persons can share in the pastoral care of the faithful also (c. 129 §2). No Irish Diocese has implemented these possibilities. Canonical commentators question whether the way forward lies in the canonical description of parish as a territorial entity or whether the parish as “Eucharistic community” ought to be further explored. Since the Parish is but one means to attain the goal of communion between Christ and his faithful; it is not a goal in its own right. The Church will not die with the passing of structures, whether parochial or diocesan. Statements from the Holy See (e.g., the preferences stated in the 1997 Interdicasterial Instruction on Cooperation) would seem to indicate the shortage of priests is a temporary phenomenon. The reality of life in many Western countries today would seem to suggest we need to radically re-think how to organise groups of faithful so that the goal of bringing all to salvation may be realised. Indeed, Benedict XVI has spoken of the “co-responsibility” of the laity for “the Church’s being and action” . Is this the time when this can finally be realised in Ireland? Some dioceses have begun to experiment with those alternative models suggested in the Code. CIC certainly permits choice. Success depends on the quality of preparation and training as well as the leadership and positive attitude of the bishop. It is a given that the goal of mission must be the focus.  In view of the possible re-structuring of the Church in Ireland, perhaps we ought to think beyond the box, so to speak, and initiate a root and branch examination by means of consultation with the faithful, of our practices, our resources, our aspirations and the canonical possibilities so that with the faithful we can envision and plan for a community of believers who live the Gospel as Jesus Christ called us to live. The emergence of Pastoral Areas provides an opportunity for renewal and for developing a markedly inclusive Church. These new structures may be seen by some as a way of responding to the increased workload of clergy due to the decline in vocations to the ordained priesthood. This is a limited understanding. Pastoral Areas do not provide a quick fix solution to the issue of a decreasing number of clergy. They can, however, act as a mechanism for increased lay involvement, enhanced communication and improved decision-making within a diocese. To realise their potential for renewal, their development will require planning, resourcing and a commitment by all involved. The Bishop of the diocese has a key role to play in this, if pastoral areas are to be fully effective. The development of Pastoral Areas needs to be approached in a strategic manner. They should complement other structures and be seen by all as an effective way of functioning. If Pastoral Areas are to work, then particular attention needs to be paid to the leadership approach adopted by those assigned with responsibility for their development. Renewal does not come about simply by introducing new structures. Structures are only a means to an end. Ineffective structures can however frustrate the Church community in its task of proclaiming the message of Jesus Christ. To be effective, Pastoral Areas must form part of an integrated approach to development within a diocese. If introduced in isolation from other pastoral initiatives, they will, at best, be ineffective, and, at worst, cause confusion, frustration and alienation. What worked in the past may not be the best approach in responding to current concerns and issues. The introduction of new structures within a diocese should be in response to clearly identified needs. To be effective, people must have ownership of and engage actively with the structures. A useful tool in enabling a diocese to function better is pastoral planning. It can enable a diocese to respond in a proactive manner to the changing environment and provide laity, clergy and religious of the diocese with an opportunity to collaborate in charting the way forward. The primary purpose of pastoral planning is to provide a clear, informed direction that helps everyone in a diocese to be clear on the focus of the diocese. Pastoral planning involves long term future planning. It is a process whereby a direction is set forth, and then the ways and means for following that direction are specified. It involves an assessment of the present reality; an articulation of a vision; the drawing up of a plan; and evaluation. It is essential that there are strategies for following up on and following through on the directions that are set, even though the pace may be slow, there may be obstacles along the way, and it may even be necessary to review some elements of the plan in the light of experience. • Are we getting there? There is no single perfect way to conduct pastoral planning. However, core elements of the plan should include the articulation of a vision, the development of a strategy, and the identification of measurable actions. In the task of establishing and maintaining pastoral areas, it is important to pay attention to the process, that is, the manner in which the task is realised. The process needs to include the participation of clergy, laity and religious. They need to be given space and time to understand the need for the new structure and to take ownership of it. People own what they create. By involving laity, religious and clergy at all stages of development, there is a greater chance of success. To achieve this, attention must also be paid to the style of leadership adopted by those entrusted with the task of establishing and supporting Pastoral Areas. There is a need to move from a highly individual model of ministry to a model that promotes co-responsibility. A significant change of mindset is required by all in order to move from viewing the role of the laity as one of subordination and passivity. There is a need to move from doing things for people that can be disempowering, to embracing an approach whereby people are enabled and empowered to participate fully in life of the Church. Emphasis needs to be placed on the ministry of the whole people of God, not just the chosen few. The leadership qualities required for this work include respect, appreciation of the wisdom and experience of others, an ability to enter into discernment, and an openness to change. The skills required include self-awareness, listening, facilitation, decision making and communication. For many, this approach to leadership is both different and challenging; it requires the development of new skills and attitudes. A focus on leadership training must go hand in hand with the development of Pastoral Areas. A rich source for personal reflection and inspiration can be drawn from the teachings and life of Jesus. The image of Jesus presented in the scriptures is one of a leader in constant relationship and dialogue with his followers. Some characteristics of the leadership model that can be drawn from the teachings and life of Jesus include listener, compassionate, person of integrity, creator of vision, authentic, forgiving, other-centred and empowerer. The establishment of Pastoral Areas within a diocese provides a wonderful opportunity for renewal. However, their establishment needs to be well thought-out, resourced and strategically managed. Pastoral Areas should not be seen as an end in themselves. However, they have the potential to facilitate the development of a more participative Church. Leaders with the ability to enable and empower are needed. Commitment at all levels within the diocese is essential. The establishment of Pastoral Areas should be included as part of a diocesan pastoral plan. If the development of Pastoral Areas is to succeed as an instrument of renewal, the involvement and support of clergy, religious and laity is essential. When the bishops of the Church at the Second Vatican Council articulated the fundamental importance of baptism they were ratifying a radical shift which had been emerging in theological and pastoral reflection through renewal movements in preceding decades. The baptised, the People of God called together, are gifted with a share in the three-fold mission of Christ as priest, prophet and king. At the Pastoral Convention of the Diocese of Rome on May 26, 2009, Pope Benedict XVI acknowledged that the task is not yet complete. It is necessary to improve pastoral structures in such a way that the co-responsibility of all the members of the People of God in their entirety is gradually promoted, with respect for vocations and for the respective roles of the consecrated and of lay people. This demands a change in mindset, particularly concerning lay people. Pope Benedict indicated to the Pastoral Convention that we have yet to fully promote that co-responsibility, improve our pastoral structures to facilitate it, and continue to grow in our realisation of it. Pope Benedict sees the fostering a mature and committed laity as key to the life and mission of the Church, and he emphasises the responsibility of parish priests in nurturing their spiritual growth. • Who is responsible for the being and action of the Church? • What does co-responsible mean and what are the implications of being committed to co-responsibility as a diocese? • What is the theological rationale for clustering parishes into pastoral areas? • What models of parish reorganization are available? Authentic consultation with the people of the diocese regarding the composition of the new pastoral areas is essential. People of the diocese can also rightly expect to be engaged in the significant steps throughout the process. From the outset, attention needs to be given to the theory (theology) of dialogue and the skills necessary for engaging in constructive dialogue. Rituals are needed that communicate the presence of the Risen Christ with and within the community. In all of this the diocese will need to use all the means and resource available to communicate, educate, engage and ritualise the developments are taking place. These will include the use of letters, homilies, bulletins, websites, brochures, DVD’s, parish, school and neighbourhood gatherings, diocesan celebrations, parish liturgies and resources for community and family prayer. • What do we understand by co-responsibility and collaboration? • What difference would it make to our ways of ministering? • Are we committed to it? • Do we have the capacity for it? • What kind of spirituality enhances a sense of co-responsibility? • How do we deal with anger, hurt, disappointment, conflict and apathy? • What strategies will we use for setting goals, organising effective meetings and developing pastoral plans? Engaging those who will participate in formation and training sessions in creating the curriculum and planning for future sessions will greatly enhance their effectiveness. It is important that people who are generous in using their gifts and talents in service of the parish community be offered the opportunity to participate in forms of formation that enhance their faith and in forms of training that are appropriate to their ministry. These will include informal adult faith formation courses as well as certificate, diploma and degree courses that are available at the local level. It will also include specific training for those who carry our specific roles. Examples include formation for all involved, in preparing and celebrating the liturgy leadership skills for the chair of the parish pastoral council and participation in appropriate conferences for those committed to addressing the social issues affecting people in the parish or pastoral area. Some of these people would appropriately be invited to participate in the co-responsibility training being offered to the priests. These core people are to be supported and resourced so that can be a leaven for others in the parishes of the diocese. In the short term lay people may still find themselves working in collaboration with the priest leader in the pastoral area. In the long term it means forming lay people to be the pastoral leaders of the parishes. It is evident that the time has come when an increasing number of parishes will be without a resident priest. Formation is aimed at promoting co-responsibility of the whole People of God and thus enabling the parishes to co-operate with each other in proclaiming the Word of God and furthering the mission of Christ in the world. Effective formation will also encourage the People of God to keep alive the larger theological, ecclesiological and pastoral questions that need to be addressed in our time. The development of Pastoral Areas in dioceses throughout the country requires a renewed understanding of the local Church. Part of this renewed understanding is a sense of shared responsibility among the community of believers for the faith life in the Pastoral Area. This shared responsibility will necessitate a greater involvement of lay people both in leadership roles and in the animation of specific ministries. With the increase in cooperation between parishes in a pastoral area and the growth in the geographical area covered, lay personnel will be called upon to assume more responsibility in the areas of coordination and animation of various ministries. Given the level of commitment involved in this work, it is unreasonable to ask individuals or groups to assume these responsibilities in a voluntary capacity. The alternative available to the leadership in a Pastoral Area is to employ trained personnel for this purpose. The need for employed pastoral personnel, while not meeting with unanimous acceptance, is becoming a reality for parishes and pastoral areas in many Irish dioceses. Courses which prepare students for work in pastoral settings are already in place and one advantage in the Irish context is the number of graduates of theology and pastoral ministry courses who are available for employment in pastoral settings. Certification in relation to the training of pastoral workers is desirable to ensure good quality of training and some uniformity of standards. The employment of lay personnel brings up questions such as how the roles and responsibilities of pastoral workers may be defined, where the material support for employing personnel will come from and how pastoral workers will fit in to the overall management, planning, and accountability structures within a Pastoral Area? The employment of parish secretaries has been a positive experience of many parishes. Arising from the experience of employing parish secretaries and other personnel at parish level, there is some degree of familiarity among the leadership of parishes with regard to employment contracts, pensions, and holidays but there is need for consistency in standards and practices throughout the country. The employment of pastoral personnel requires clarity of contract, definition of roles and responsibilities, identification of line-management structures, delineation of salary scales and some discussion on the manner in which volunteers might work cooperatively alongside paid pastoral employees. The experience of many parishes where there are pastoral workers employed is that the role of the volunteer is strengthened and affirmed by the paid pastoral worker when the respective roles and responsibilities are clearly stated and understood by all parties involved. The identification of pastoral priorities for the pastoral area and the development of a pastoral plan are necessary prerequisites to the employment of pastoral workers. It follows that the employment of pastoral personnel needs to be integrated into this pastoral plan. Some work in defining the roles and responsibilities of pastoral workers has already been completed by individual dioceses but it is desirable, in the interests of best practice, that there be consistency of standards and practices in dioceses throughout the country. Once employed, it is important that pastoral workers receive ongoing support and pastoral supervision and make every effort to invest their energy and resources in working as part of the pastoral team so that the experience is not one of isolation but of shared ministry in the service of the Gospel. BAUSCH, W.J., The Parish in the Next Millennium, Mystic CT, Twenty-Third Publications, 2000. CATHOLIC BISHOPS’ CONFERENCE OF ENGLAND AND WALES (1995) The Sign We Give: Report from the Working Party on Collaborative Ministry, Chelmsford, Essex: Matthew James Publishing Ltd.
CONGREGATION FOR THE CLERGY, 4 August 2002, Instruction, Priest, Pastor and Leader of the Parish Community, Vatican City, Libreria Editrice Vaticana, 2002. ______, et al, 15 August 1997, Instruction on certain questions regarding the collaboration of the non-ordained faithful in the sacred ministry of priests Ecclesiae de mysterio, in AAS, 89 (1997), pp. 852-877. English translation, Vatican City, Libreria editrice Vaticana, 1997. DUFFY, E., (ed.). Parishes in Transition, Dublin: Columba Press, 2010. _______ , “Clustering Parishes I,” in The Furrow, Vol. 61, no 5, May 2010, pp.276-284. _______ . “Clustering Parishes II,” in The Furrow, Vol. 61, No. 6, June 2010, pp.343-356. GANIM, C., Emerging Models of Pastoral Leadership Project Series: Shaping Catholic Parishes: Pastoral Leaders in the 21st Century, Chicago, Loyola Press, 2009. GREEN, T.J., “The Parish: Theological and Canonical Parameters,” in The Jurist, 69 (2009), pp. 213-236. HENDRICKS, K., Emerging Models of Pastoral Leadership Project Series: Parish Life Coordinators: Profile of an Emerging Ministry, Chicago, Loyola Press, 2009. JOHN PAUL II, Apostolic Exhortation on the Vocation and Mission of the Lay Faithful in the Church and the World Christifideles laici, 30 December 1988, in AAS, 80 (1988), pp. 393-521, English Translation, The Lay Members of Christ’s Faithful People, Boston, St. Paul’s Books and Media, 1989. KERKOFS, J. AND P. ZULEHNER, “Where Now? Possible Scenarios,” in J. KERKOFS, Europe Without Priests?, London, SCM Press, 1995. LANZA, S., “La parrocchia in un mondo che cambia: Les grandi sfidi socio-culturali et religiose,” in Riscoprire il vero volto della parrocchia, Vatican city, Libreria Editrice Vaticana, 2005. MOGILKA, M., AND K. WISKUS, Emerging Models of Pastoral Leadership Project Series: Pastoring Multiple Parishes: Emerging Models of Pastoral Leadership, Chicago, Loyola Press, 2009. ______, “The Future of Parishes and the Present Canonical Legislation,” 10 March 2005, Lecture given in the James H. Provost Memorial Lecture Series, Catholic University of Washington. PONTIFICAL COUNCIL FOR LEGISLATIVE TEXTS, 13 November 1997, Explicative Note, in Communicationes, 30 (1998), pp. 28-32. PROVOST, J., “Priest as Moderator of Parish,” in E. ESPELAGE (ed. ), CLSA Advisory Opinions 1994-2000, Washington DC, Canon Law Society of America, 2002, pp. 133-135. ______, “Pastor of More Than One Parish,” in E. ESPELAGE (ed. ), CLSA Advisory Opinions 1994-2000, Washington DC, Canon Law Society of America, 2002, pp. 142-144. ______, “Priests Serving as Pastors in More than One Parish,” in P. COGAN (ed. ), CLSA Advisory Opinions 1984-1993, Washington DC, Canon Law Society of America, 1995, pp. 124-126. SACRED CONGREGATION FOR THE EVANGELIZATION OF PEOPLES, 19 November 1976, Instruction, La function évangélisatrice, no. 5. SCHRIETER, R., “Pastoral Leadership: Moving into the Future,” in Origins, 38 (2008), pp. 21-27. SOFIELD, L., AND C. JULIANO, Collaboration: Uniting Our Gifts in Ministry, Notre Dame, Ave Maria Press, 2000. UNITED SATES CONFERENCE OF CATHOLIC BISHOPS, Co-workers in the Vineyard of the Lord, Washington DC, USCCB, 2005. Feedback may be given for each section and/or for the document as a whole. Photocopy this template as needed. Continue overleaf if necessary. What do you find helpful about this section/document? How could the section/document be more helpful? How could the section/document address the reality of resistance to change? What else should be included in this section/document as a whole? Name/group: …………………..…… Contact details: …….…….…………………….